The Republic of China Navy (ROCN) has announced a $12.35 million life extension program that will upgrade two Hai Lung-class (improved Dutch Zwaardvis-class) submarines — the Hai Lung (Sea Dragon) 793 and Hai Hu (Sea Tiger) 794 — including installing a new combat system aboard the vessels, according to Taiwanese media reports. The upgrades are supposed to extent the service lives of the submarines for at least another 15 years. The Hai Lung and Hai Hu have been in service with the ROCN for the past 30 years, entering service in the navy in 1987 and 1988 respectively. The life extension program will be overseen by the military-run Chung-shan Institute of Science and Technology. According to Defense News, the submarines will undergo hull, mechanical, and electrical upgrades, as well as non-propulsion electronic system modifications including upgrades to the TIMNEX 4CH(V2) electronic support measures system and a new combat system. The new combat system will in all likelihood be an off-the-shelf variant of Lockheed Martin’s SUBICS (Submarine Integrated Combat System). The contract for the life extension program design work was awarded in March to “two unidentified European marine engineering firms,” with the Ship and Ocean Industries Research and Development Center (SOIC) “playing a significant subcontractor role,” Defense News reports. The design phase of the Hai Lung-class life extension program will last approximately two years, followed by the actual upgrade and installation work. The submarines are slated to return to active service in 2020. Taiwan announced in late December 2014 that it will domestically start building a fleet of indigenous submarines under the so-called Indigenous Defense Submarine (IDS) program. 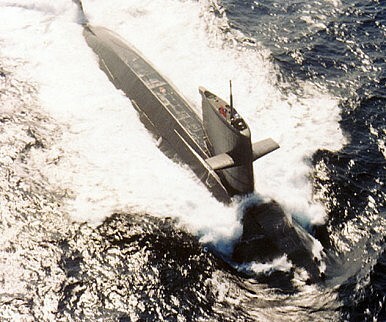 The program’s aim is to construct eight attack submarines over the next decade. The program design phase is slated to begin this year. The first boat could be launched as early as 2024 and enter service with the ROCN two years later. However, Taiwan lacks the expertise to jumpstart such an ambitious defense program and delays as well as cost overruns will be likely. European and American shipbuilders will, in all likelihood, help in some capacity, although it appears improbable that the United States or European countries will agree to substantial technology transfers for an indigenous submarine program given the People’s Republic of China’s likely reaction and the threat of an overall deterioration of China-West relations.